Three different solid perfume scents, perfect for travel and everyday wear. Hemlock Shade is black spruce, hemlock, fir needle. 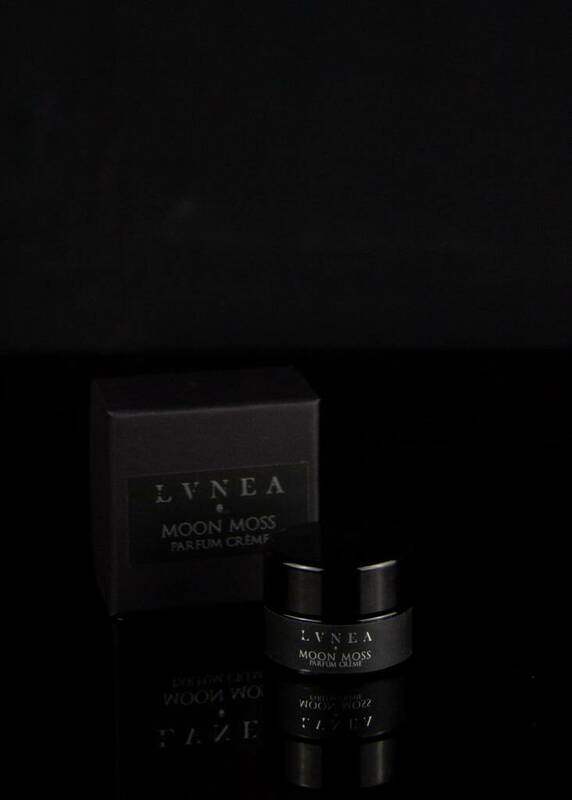 Moon Moss is oakmoss, lavender, patchouli. 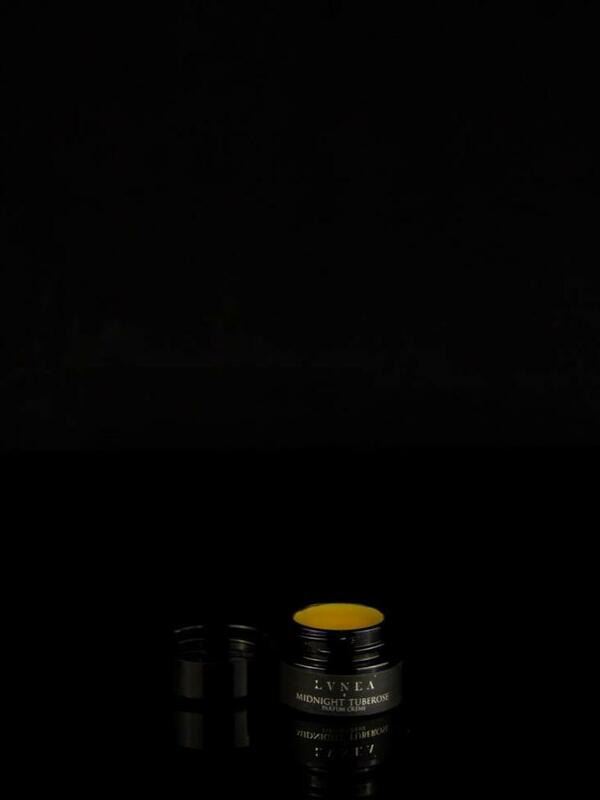 Midnight Tuberose is tuberose, rose, and dark resins. Dip fingers in coniferous tar And mar the snows of late November, The embers of Malevolent Star Slicken the ground, now hardened, rendered. Featured scent notes of hemlock absolute, black spruce, sandalwood, oakmoss, vetiver root, birch, fir needle. As twists of wrists bind you to me.Featured Notes of oakmoss, patchouli, lavender Seville, violet leaf, thyme absolute. 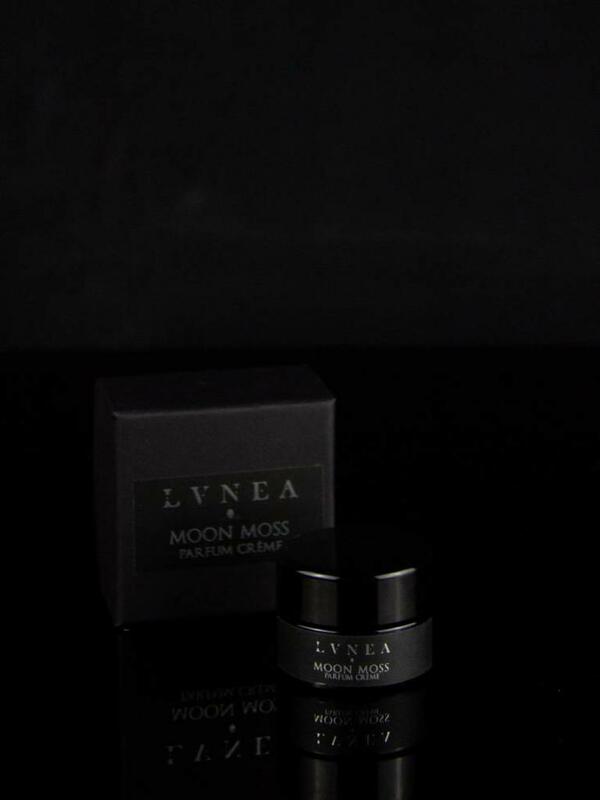 Moon Moss has aspects that are mossy, deep, dark. From bed of roses glistening. Featured notes of tuberose petals, Russian apothecary rose, dark resins and a touch of cepes and cocoa. Aspects are heady floral, intoxicating, narcotic. For all perfumes, rub onto pulse points and as the body warms it will release the scent. 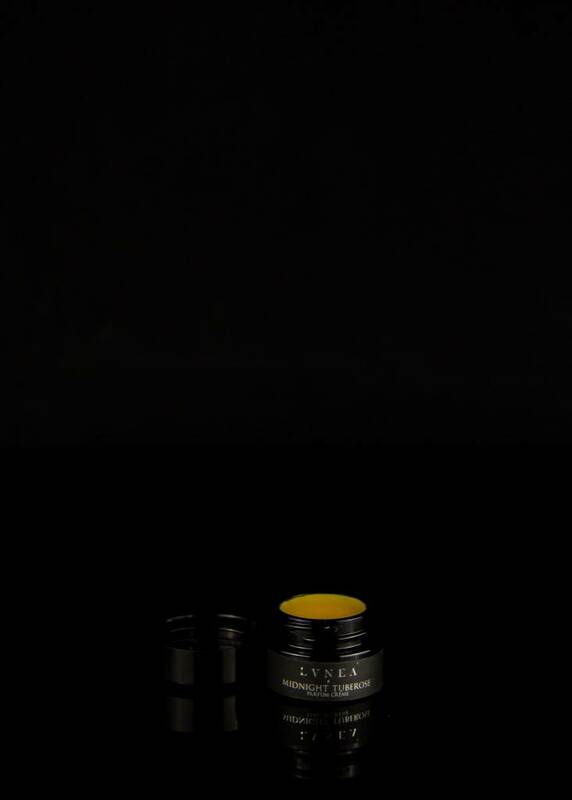 Ingredients: organic jojoba oil, shea butter, carnauba wax, bayberry wax, an essential oil blend, natural plant extracts. 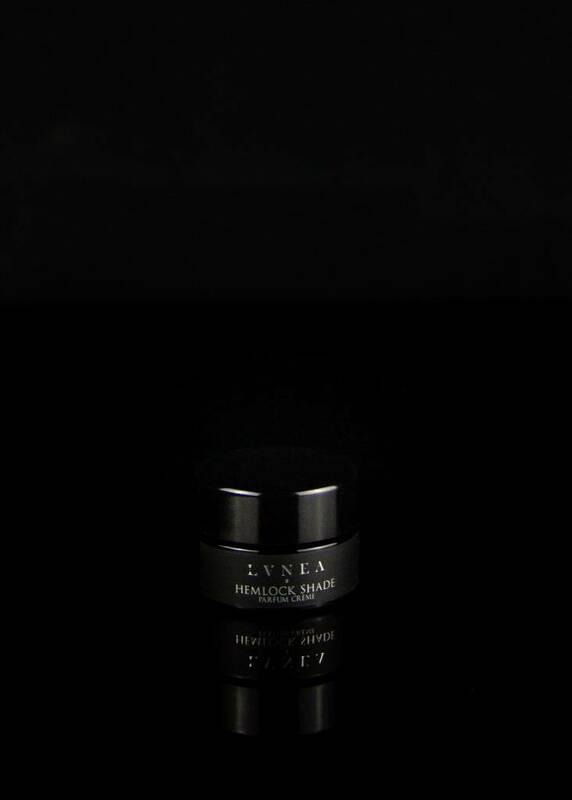 10g / .33oz perfume comes in a black glass pot inside a matte black gift box. All natural and botanical solid perfumes are vegan and cruelty-free. Handmade in Canada.